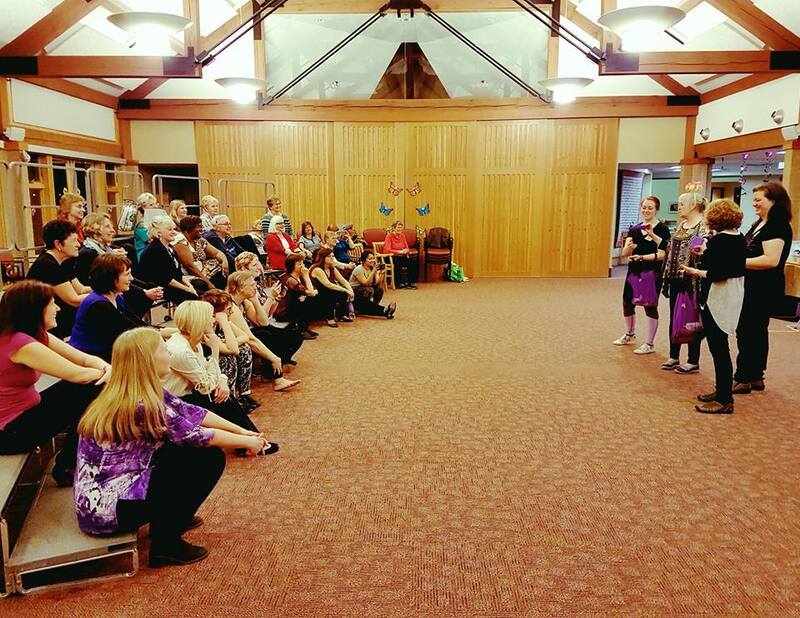 When you visit a Grand Harmony Chorus rehearsal, you'll feel energized by the sounds of pure harmony that surrounds you; the sheer beauty of over 50 voices coming together to create the power of 100 voices will bring goosebumps! As you listen to this amazing group of women sing, you’ll be tapping your toe and searching your soul as the melodies and harmonies create a whirlwind of emotion within you. Grand Harmony Chorus is an all-female (except our fearless leader, Director, Chris Arnold), all-ages, multi-award-winning Kitchener-Waterloo four-part a cappella show choir that draws 40+ talented singers from the Kitchener, Waterloo, Cambridge, Listowel, St. Jacobs, Elmira and surrounding areas. 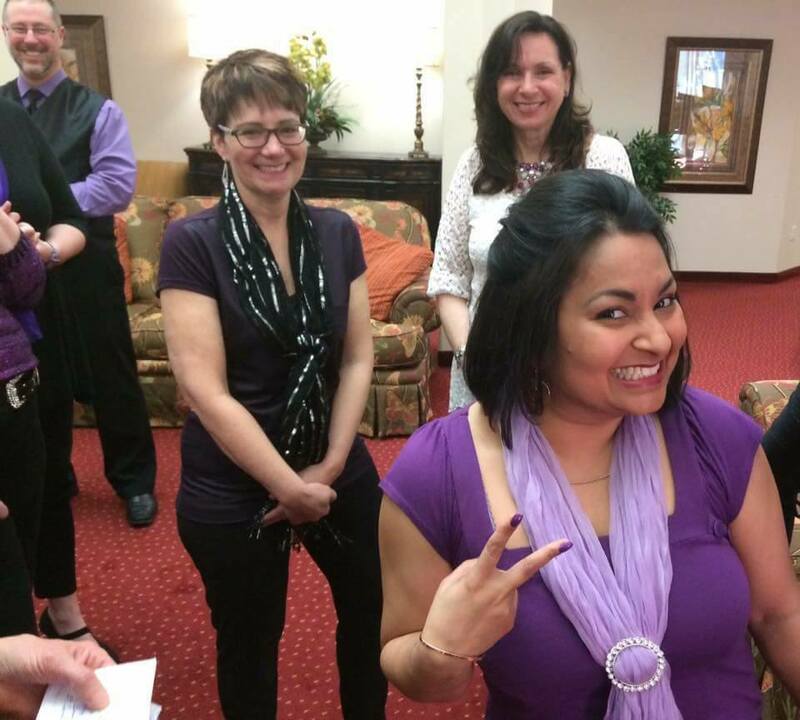 This dynamic chorus comes together weekly in song, dance, and artistic expression. Grand Harmony is known throughout Waterloo Region, bringing their style of entertainment to their audiences with an equal mix of big-city flair and small-town charm. Repertoire includes jazz, contemporary a cappella, pop, and show-tunes from one hundred years ago to today. 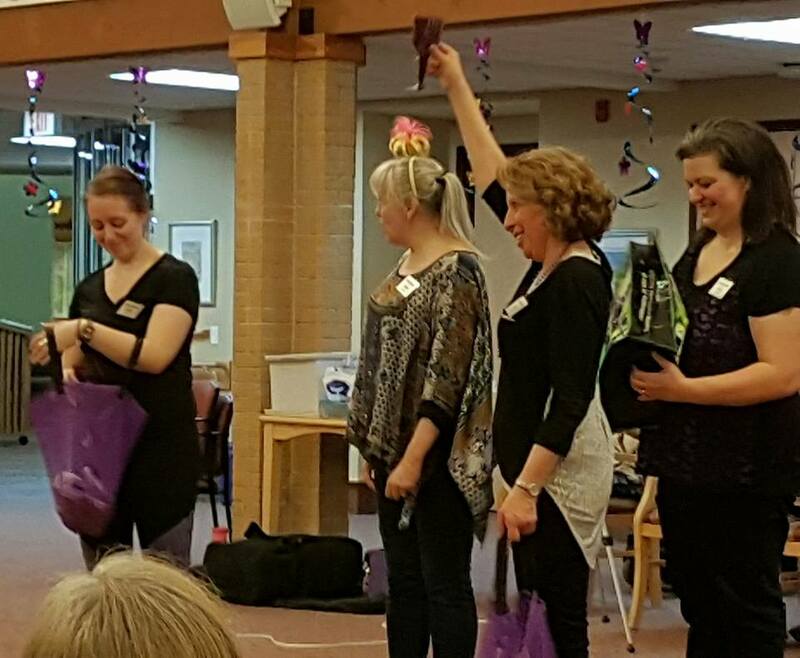 Come visit Grand Harmony Chorus and experience for yourself the love of harmony, community, and singing that is shared each time they gather to rehearse or perform. Grand Harmony Chorus' vision is to be recognized as an entertaining, award-winning, a cappella chorus, respected within our communities.
! <---- There's the FUN!! !